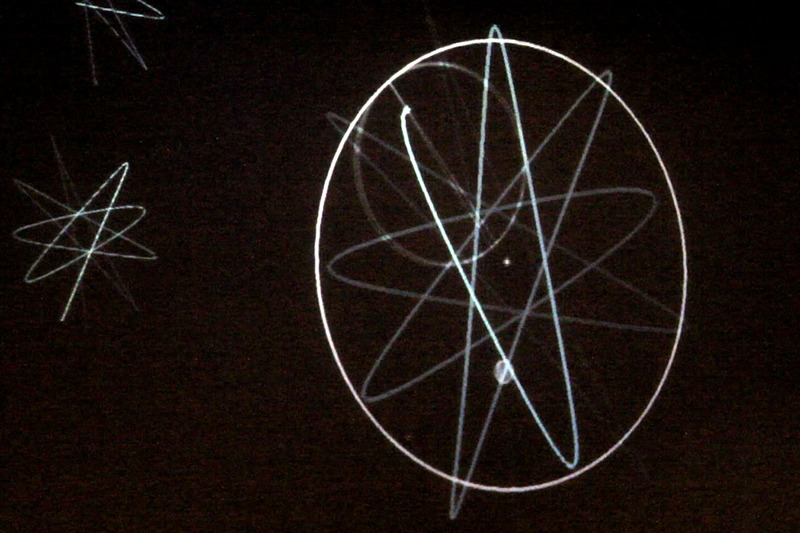 permanent sonification/visualization installation, Museum of Life and Science, Durham, NC, visualization and camera tracking developed in C++/OpenGL/OpenFrameworks, sonification developed in Supercollider. 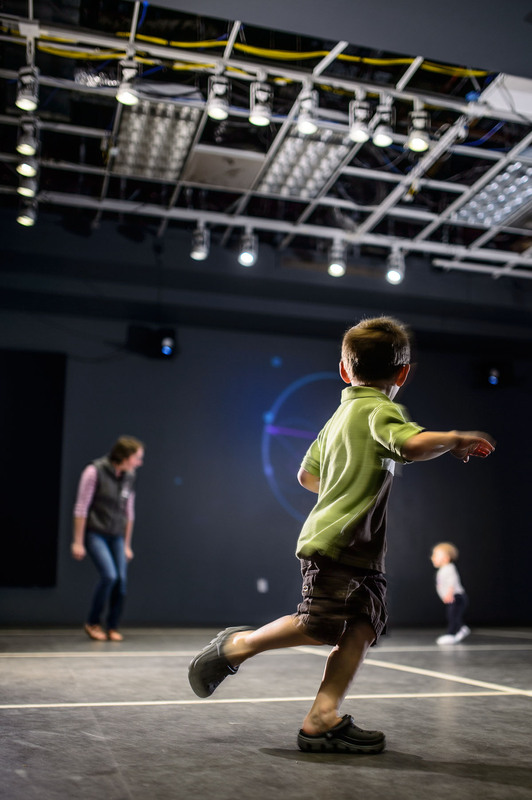 “Enter the interactive exhibit Soundspace and see how your movement creates sounds and images! This popular exhibit is making a comeback — with new additions developed with the help of Duke Arts. 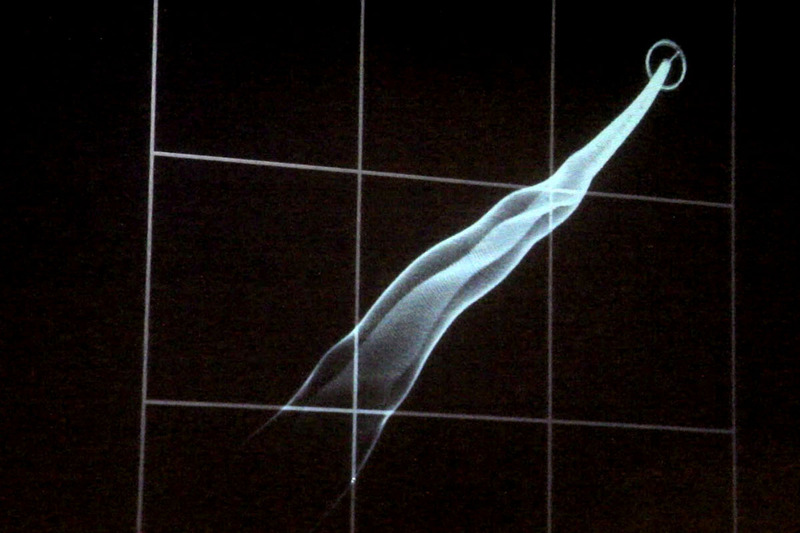 Not only can you “hear” your movements, but new visualizations encourage you to explore how your motion changes what you see and hear as you move. 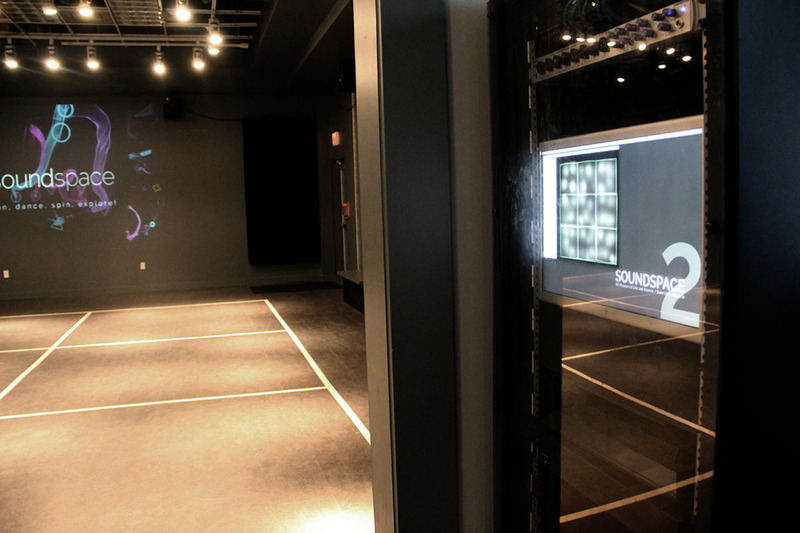 Soundspace features nine web-enabled cameras that send information to a cluster of computers. Using software, the computers determine the location, speed and kinds of movement that are happening in the room. This information generates pleasing sounds, like marimbas and harps. 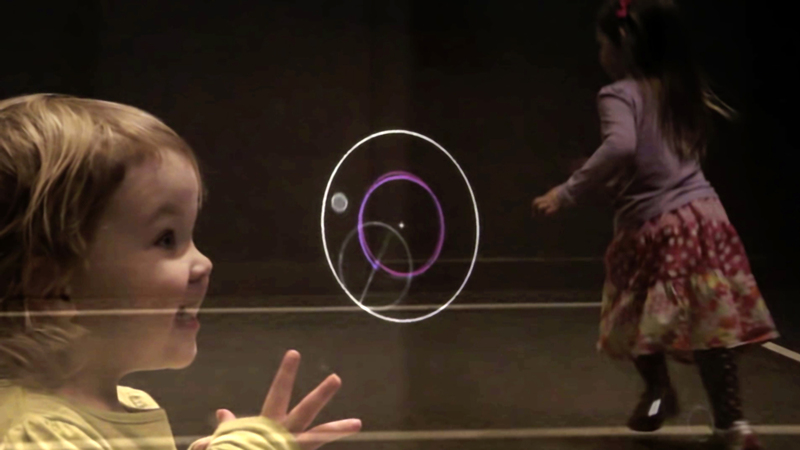 Your movements also guide shapes around a projected image, creating abstract art tied to your location and movement. Watch yourself turn and spin and see as shapes track where you’ve been.